Whether you fly once in a while for business, or feel like you spend more time in the air than on the ground, you have no-doubt experienced the pressure and inconveniences common to business travel. Even in traditional business class, and especially on long-haul flights, past standards of luxury and comfort have faded and lost their impact, leaving passengers more frustrated and less comfortable during air travel. Airlines know this too, and with advances in technology – both aeroplanes and the way we kit them out – comes a greater ability to turn the time you spend in the air into a needed break, an effective work time, or a pleasant combination of both. With the upcoming launch of the Club Suite, the final phase in this latest upgrade, we think they have. Club World as a whole includes personalised services, tailored to the needs and habits of each customer. Lounges have been upgraded and improved, with direct access to quick, biometric security protocols. Self-service check-in will further speed up the boarding process and increase the ease and convenience of the process. Club World includes implementation of a restaurant-style catering service, menu and settings. Aircraft will also offer the latest-generation aeroplane Wi-Fi for both long and short-haul fleets. Similar upgrades and services are being implemented on domestic flights as well, through the Club Europe program. By the autumn of 2019, passengers should be able to experience this new standard in business flight – some are booking their flights now. What Does Club Suite Include? No more climbing over a neighbour – or being climbed over yourself – in order to stretch your legs or use the restroom. Each business cabin has direct access to the aisle, for each seat. Each suite also includes a door, so you make a bit more noise without being self-conscious or overheard, and you can maintain peace and quiet if other passengers are talking together or using mobile phones. Once inside the suite, enjoy the sense of space and comfort – at least by aeroplane standards. There are generous and convenient storage compartments to keep your suite organised and tidy during your flight, while still having everything you need at hand. Get some work done, relax, catch up with loved ones, or a combination of all of them – whatever you need is within easy reach. You can enjoy the convenience and technology of the digital seat functions, high-speed Wi-Fi with multiple charging points, and personal, 17” high resolution entertainment screens, with games, movies, and services on offer from gate to gate. To get some real rest, you can even recline, transforming your seat into a two-metre-long, fully flat bed, complete with luxurious The White Company bedding. Your services aren’t just a gilded cookie-cutter either, they are tailored to suit your individual needs and preferences. It’s not just high quality; it’s designed specifically for you. Which Planes will be Equipped? 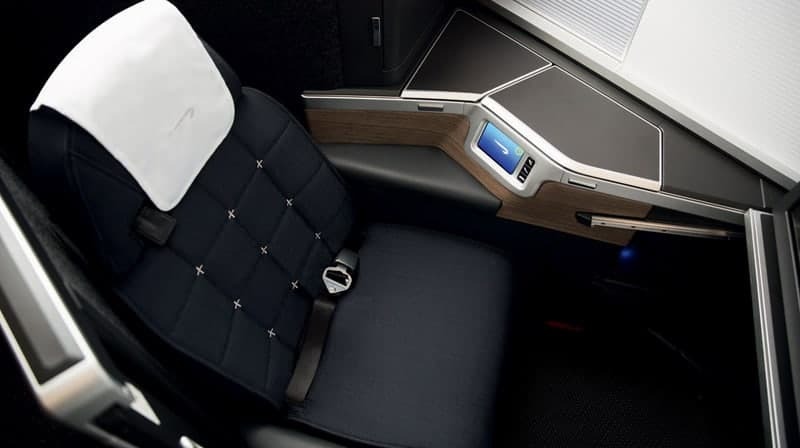 British Airways will be adding the A350 to their fleet later this year, and each new plane will come equipped with Club Suite fresh off the assembly line. The existing fleet will be retrofitted with the new facilities and will offer the same high standards of service. Not all aeroplanes will have these features immediately, however, so if you plan to take a flight in a Club Suite, make sure the flight you choose has been equipped with it. By the end of 2019, the four A350s will have it, as will two 777s, and the rest of the London Heathrow long haul fleet will be equipped, in phases, over the next couple of years. Selected flights to Toronto will be available from 1st October and, as of 8th October, selected Dubai flights will feature Club Suites too. 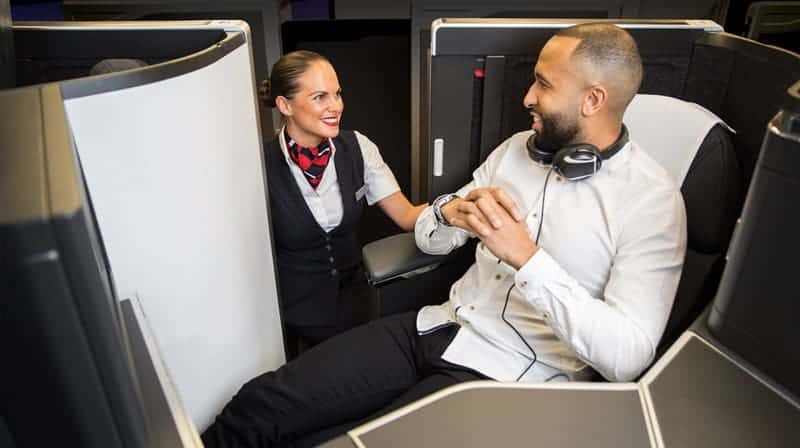 British Airway’s announcement of the Club World and Club Europe programs and upgrades met with a lot of excitement and, as we approach fulfilment, it seems they will not disappoint. From check-in to the sound of your roller-board wheels clicking over the tiles at your destination, BA has striven to make the experience one of convenience, quality, and comfort. We think they have succeeded.